Have you ever wondered how the number plate format system works? Well, you’ve come to the right place. Here you can learn everything you need to know. The current number plate system has been around since September 2001. Prior to this, new registrations changed annually up until 1999. It was at this time that number plates were changed twice yearly and then in September of 2001, the current number plate format was introduced. British number plates are made up of three parts: the local memory tag, the age identifier and random letters. The first two letters of the number plate are an area code. This code displays where the car was originally registered and the DVLA local office identifier. For example, for ‘AA’, the first ‘A’ represents Anglia and the second ‘A’ represents that the local office is in Peterborough, rather than Norwich or Ipswich. NB: Z is never an area code, it is only ever used as a random letter. The two numbers reveal which 6-month period the car was registered in. It can either be registered from March to August or September to February; this is because the identifier changes on the 1st March and 1st September. For example, ’02’ shows that the vehicle was registered in March to August 2002, whereas ’52’ shows that it was registered from September 2002 to February 2003. The last three letters of a number plate are completely random. So, now you know how the current number plate format works, it’s important to know that the age of a plate is significant. Why? Well, whilst you can put an old number plate on a new car, you cannot put a newer plate on a car that is older. For example, it’s completely acceptable to have ‘02’ on a car that was registered in 2013, however it is illegal to put a ‘13’ number plate on an ‘02’ registered car. Basically, you can’t make your vehicle appear to be newer than it actually is. If you decide to change your vehicle, you can keep your number plate. 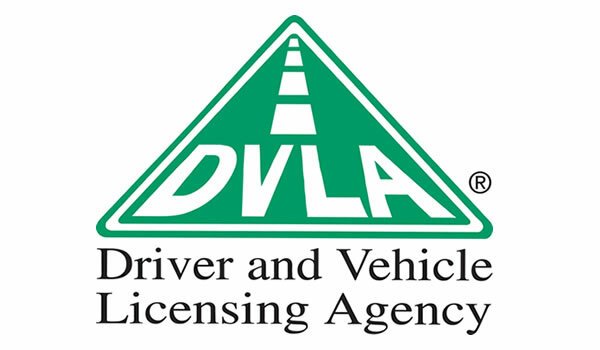 All you need to do is fill out some paperwork, pay the required fee and wait for the DVL A to process it. When it comes to number plate fonts, it is illegal to use different typefaces to the mandatory font. It is also against the law to space the letters differently to the specification. You should now have a better understanding of the number plate format system. 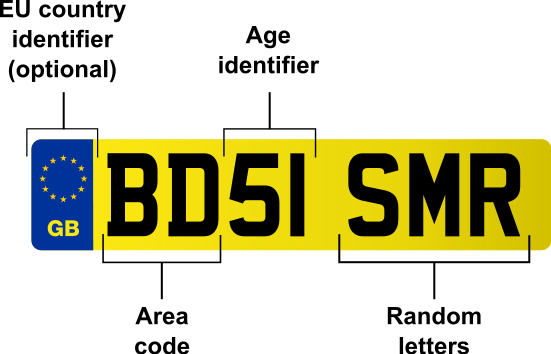 Fancy creating your own personal number plate? Then look no further than Primo Registrations. We may have just what you’re looking for. Call us on 01252 49 1111 today.